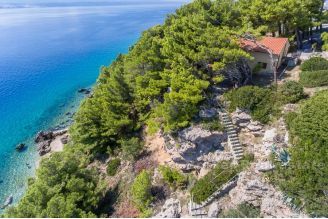 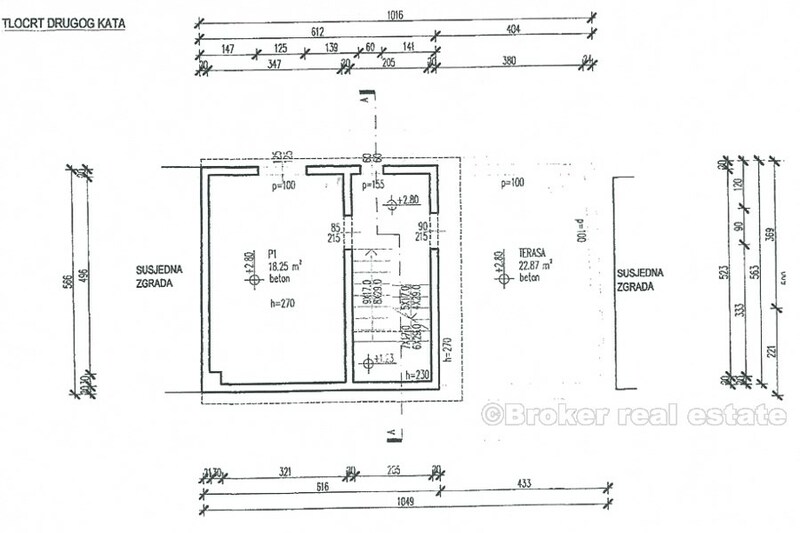 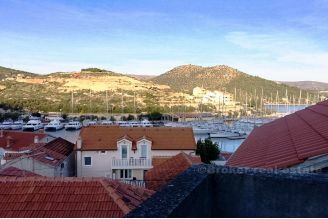 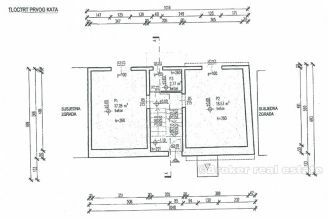 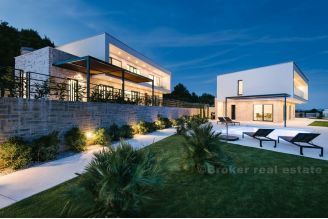 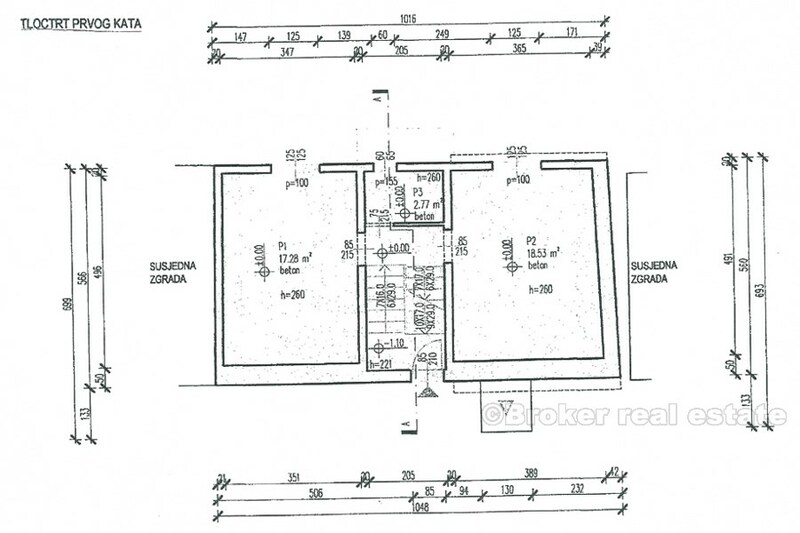 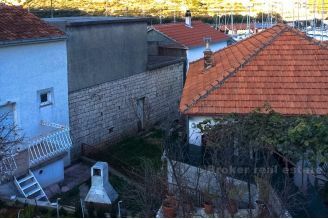 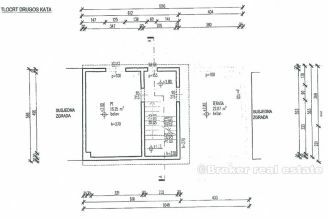 Unfinished detached house, located in Marina near Trogir, with total living space of 152 m2 with sea view. 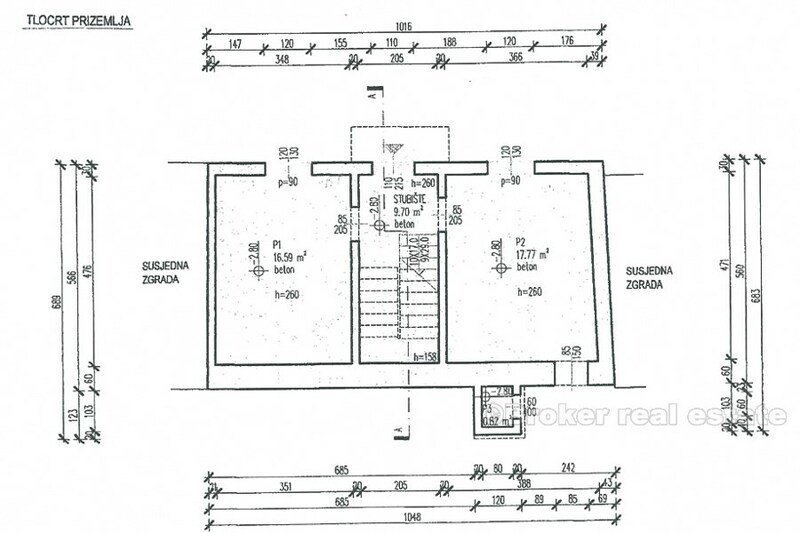 The house consists of ground floor and two floors, with floor plan dimensions of 10.5 x 5.6 m2. 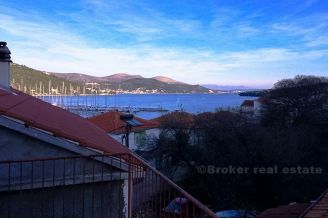 On the second floor there is a spacious terrace of 25 m2 overlooking the sea. Behind the house there is a 70 m2 garden which can be used for parking or to be converted to an outdoor terrace. 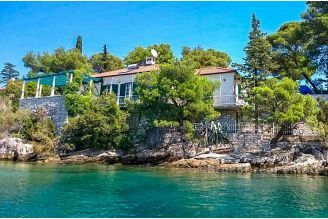 Due to its location in the center of Marine, the house is located near all the facilities Marina offers, and a beautiful pebble beach is only 100 meters away from home.